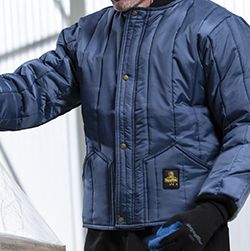 Tough jobs in cold conditions aren’t new, and helping you overcome these conditions has been RefrigiWear’s purpose for over six decades. 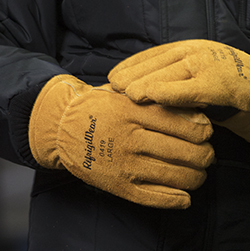 We only want one thing – to keep you warm and protected at work. It’s why we’re here. And our Heritage Collection celebrates old-school hard work and lasting toughness. From the beginning, we’ve focused on durability. Iron-Tuff, our iconic first collection, is still around. And in more ways than one. Not only are we still producing Iron-Tuff, but jackets that were bought years ago have been handed down and are still being used. So whether you are wearing the same style as Grandpa, or actually wearing his old jacket, you know you’ll be warm and protected. Our Heritage Collection isn’t just about honoring our first collection. It is about honoring the history of hard work in tough conditions – and the trusted gear that has always been by your side. There is a reason why Iron-Tuff is still around over 60 years later (it’s damn “tuff”), and why classic styles like Arctic Duck are still so popular (timeless design). These products may not seem the most modern, but they have endured because classic style and durability never goes out of fashion. And just because they’re classics doesn’t mean we haven’t made improvements with materials or construction methods. 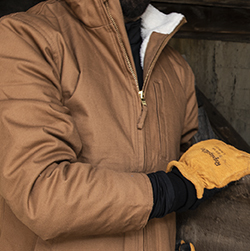 So what you have today in the Heritage Collection are styles, materials and insulation methods that have stood the test of time—and withstood the harshest conditions while keeping you protected. Iron-Tuff®: Our iconic original collection protects in temps as low as -50°F and is made of material that can last a generation. Arctic Duck: Just because it’s work doesn’t mean you can’t look good. 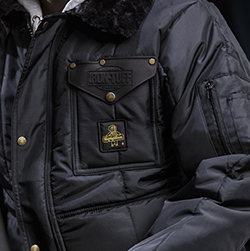 Arctic Duck is tough, with a Sherpa lining for warmth and features designed for extra functionality. Cooler Wear™: Lightweight and durable. Warmth down to 10°F. Cooler Wear™ gives you industrial strength and lasting warmth. Leather Gloves: As trusty as your old truck, just warmer. These classic work gloves are super durable and very resistant to abrasions, so you can handle whatever the day throws at you.